They are found in marshes and wet meadows. 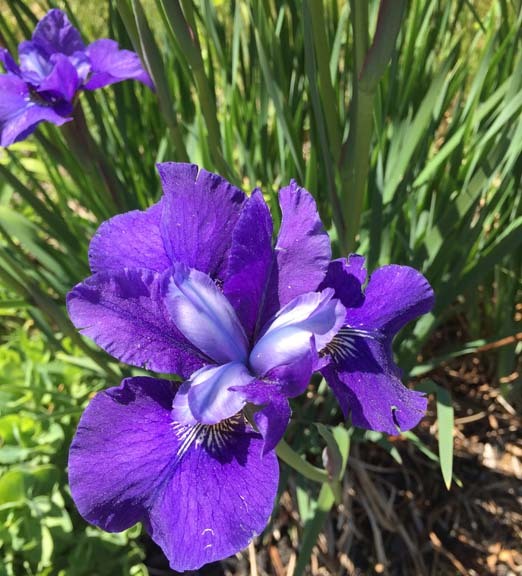 It is a big, blue-violet flower with 3 petals and 3 yellow-veined leaves (sepals) below the flower. Each plant has one to several flowers that sit on top of strong stem. They have tall, sword-like leaves that attach at the bottom. They bloom May through July.